Celebrity cook Paula Deen says she has used racial slurs in the past but insists she and her brother, who are accused of racial and sexual discrimination in a lawsuit, don't tolerate hateful behavior. Celebrity chef Paula Deen poses for a portrait on Jan. 17, 2012 in New York. Brad Pitt, along with Angelina Jolie, hit the red carpet for the London premiere of "World War Z," where Brad chats about how excited he is for fans to see his new movie. So, have any of his kids seen the zombie film? Plus, Brad opens up about Angelina's preventive double mastectomy. 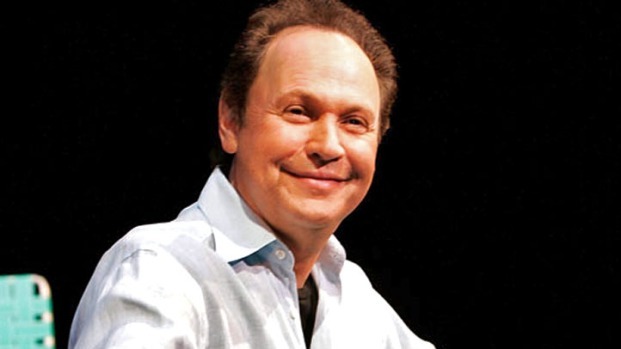 Billy Crystal Goes Back To School In "Monsters University"
Billy Crystal chats about voicing Mike Wazowski again in "Monsters University" -- the prequel to Disney's "Monster's, Inc." -- and why he loves playing the little one-eyed monster. "That's kind of hard," Deen said. "Most jokes are about Jewish people, rednecks, black folks. ... They usually target, though, a group. Gays or straights, black, redneck, you know, I just don't know — I just don't know what to say. I can't, myself, determine what offends another person."